Let Attics to Basements help you create a kitchen that’s right for your lifestyle. Call us today 763-439-2513 or contact us here. We can assist you in making minor kitchen updates or performing an entire kitchen remodel with a timeless design that you will love. Remodeling your Kitchen requires more details and planning than any other room of your home. As a Kitchen Remodeling company, Attics to Basements provides every client with extensive guidance and design services. 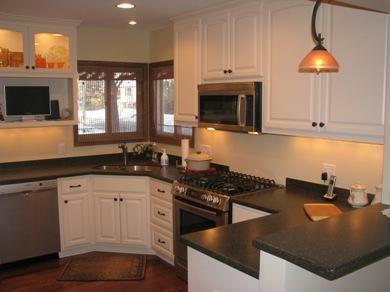 Our Kitchen Remodel services provides the 3 critical aspects of a kitchen remodel – Design – Selections – Build. Architectural/Design: Using our exclusive kitchen assessment as a guide, we design a kitchen that functions in a manner most appropriate for your family. From traditional to contemporary shaker, our experience is varied and extensive. With our interior designers, coupled with a broad network of best-in-class suppliers and distributors we provide a custom interior design for your kitchen. From traditional to modern and every price level from very basic to completely high end. We can create any kitchen you can imagine or even reproduce anything you’ve seen in any magazine, showroom, or web site. Finish Selection: We will help you select all the finishes so that your cabinets, countertops, appliances, flooring, lighting, backsplash, and accessories complement each other. The highest designation available through the National Association of the Remodeling Industry. What this means to you is that we are skilled and experienced in serving as a general contractor. For more on our skills click on about us. 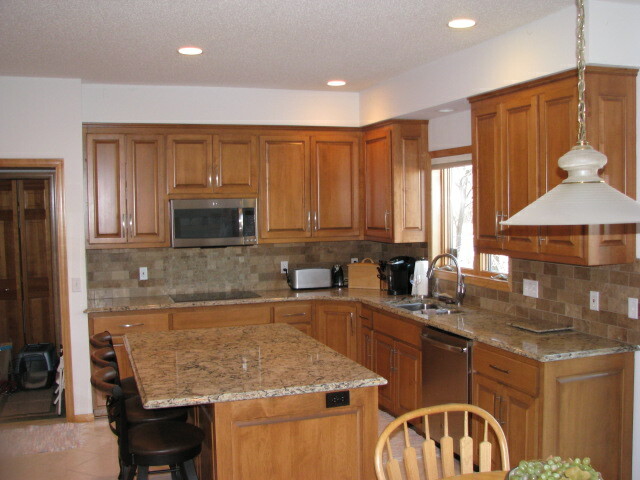 With our volume discounts we get great pricing on custom cabinets made locally here in Minnesota. Not only do we get all the options that are out there for a cabinet/kitchen but we also have say in how the cabinet is built for our clients. With our wide range of suppliers we offer all the different types and styles out there such as granite, marble and natural stones. Solid surface, quartz countertops, wood, stainless steel, tile and other specialty surfaces. We pride ourselves on being up to date on all products and the installation of them. If a product is new, we know the right people to make sure it is installed correctly.